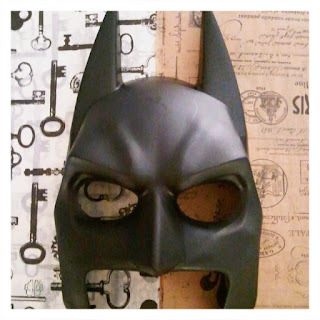 I saw this mask in the store and though that's a pretty decent Batman Mask, could I Steampunk it? 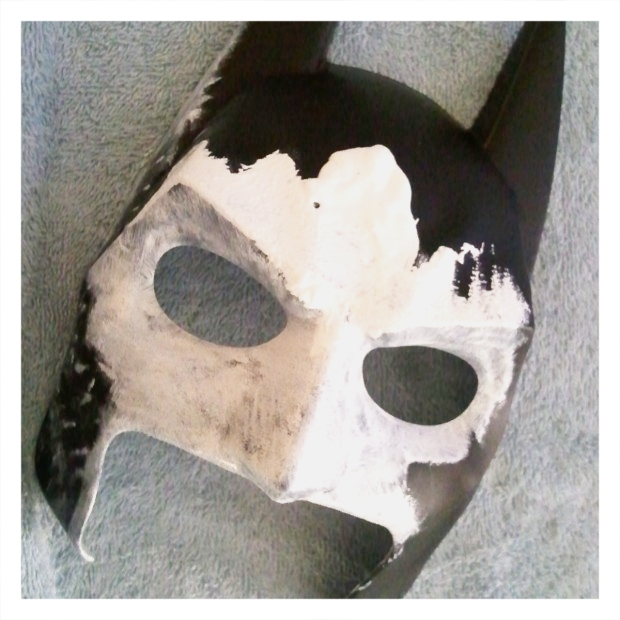 I 'primed' the mask with some white paint, just cause the tissue paper is a little see through. 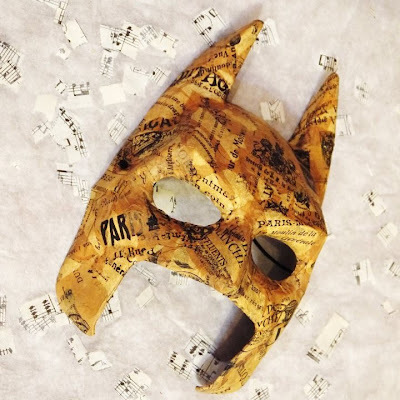 So instead of putting several layers of more expensive paper, I can make sure that the print shines through by starting off with a white mask. 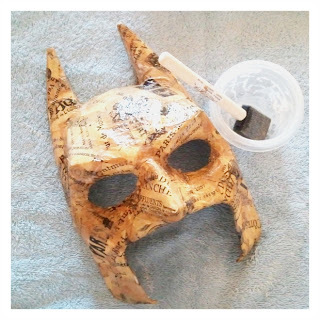 Next, Mod Podge the crap out of the mask. WO Ha Ha Ha Ha. I used my own home made Mod Podge (water and white glue, why spend so much money for Mod Podge when it's just a White Glue with a fancy label). Add back the strap and vola.